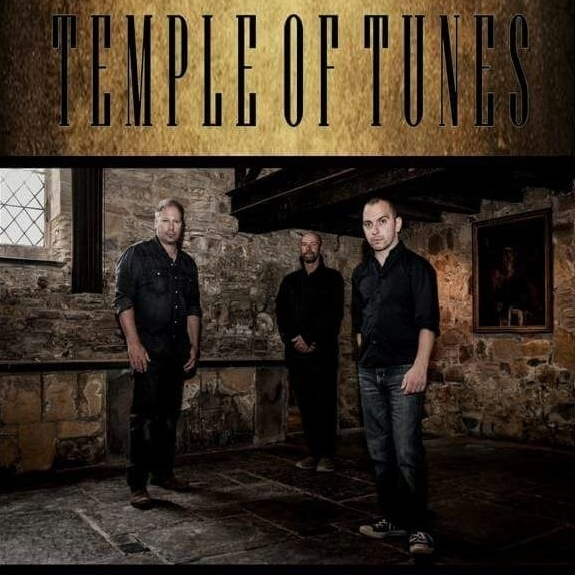 T E M P L E OF T U N E S are a 3 piece Powerhouse of Footstompin, Blues Roots, Funk and Progressive Acoustic Rock powered by 12 String Guitar, Bass and Percussion! Imagine a cross, a fusion if you like of Blues, Roots, Rock and Grunge! Improbable as descriptions may sound, it is exactly what this band achieve with their highly distinctive sound. Based on the songcraft and unique 12 string acoustic stylings of frontman Brett Franke, this band put themselves together in 2006, and have achieved much since. Including a full length album release in 2010, extremely well received appearances at the Anglesea, Glenfest and StKilda Music Festivals and gigs at The Espy and Prince of Wales in St Kilda, The Penny Black and several key Victorian, New South Wales and Queensland regional live music venues. The band also won a prestigious Californian FM Radio song contest in 2009, which is testament to the power and quality of their songwriting. Brett has recently opened shows as a solo performer for “The Badloves” and Jon Toogood of “Shihad”. With a recently released single receiving Airplay in Melbourne and Eastern Seaboard states of Australia and a second full length album on the way, this most individual of bands are set to take their up-tempo, foot stomping tunes to the rest of Australia and the world.